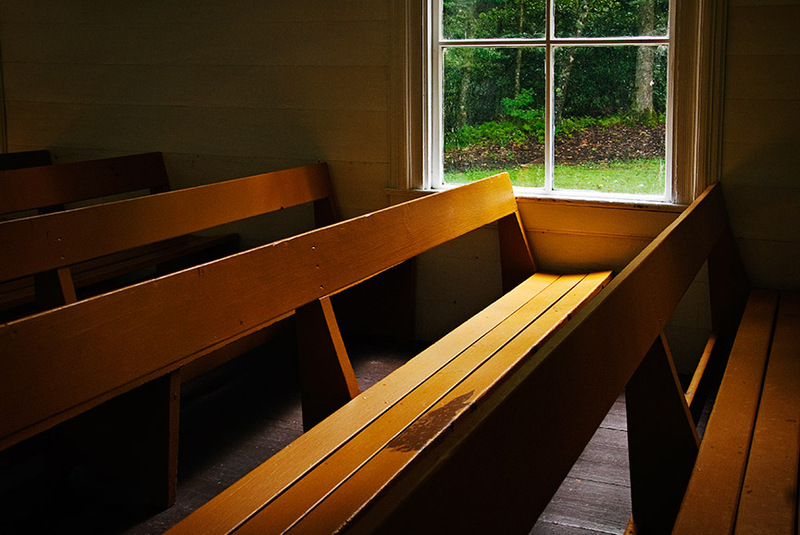 I shot this nostaglic church interior last summer in Cataloochee Valley in the Great Smoky Mountains National Park. The picturesque, secluded valley harkens of times gone by, with the one-room schoolhouse, homestead and community church buildings still standing. The other feature that draws many sightseers, especially photographers, is the herd of elk that that were reintroduced to the area in 2001.